Public interest in wills and estates seems to be on the increase. Maybe that’s because we’re still grappling with Ontario’s new legislation which came into effect January 1, 2015 and which is far more stringent and demanding than the law it replaced. Perhaps also because demographically, seniors make up an increasingly larger percentage of the population: with baby boomers reaching an age when they likely want to get their financial affairs in order, perhaps they are now asking for legal clarification. Your will provides a detailed set of instructions of your wishes with regards to dispersing your assets, from bank accounts to stocks to cash and from paintings to jewellery to cars. This accumulated wealth, large or small in value, is your estate. The government requires full disclosure of the estate’s value and collects taxes accordingly. Once known as probate fees, the official name is now the estate administration tax, and it is now payable to the Minister of Finance, which in itself should indicate the government is far more exacting than when the Attorney General did the collecting. When you make a will, you’ll want to protect as much as you can from the government’s taxes and you’ll want to leave the estate in the hands of a trustworthy, competent person. Whom you designate is more important than ever because the new legislation makes being an executor far from the benign process it once was. One frequently asked question is whether you can designate one of the estate’s beneficiary’s as an executor. The answer is yes, you can, and in some ways that’s a good idea. Your estate executor can also have power of attorney. But if no one presents to you as being both competent and willing, then you can appoint a professional executor or perhaps appoint that person as a co-executor along with a beneficiary. If the executor is a beneficiary, then ensure that he or she does not witness the will, which would result in its being disqualified. How has the new legislation changed the executor’s responsibilities? According to the 2015 law, executors applies for, and hopefully are granted a Certificate of Appointment of Estate Trustee; they then have 90 calendar days to file the initial Estate Information Return. This report details all the possessions, both financial and physical, as per the following list provided on the Ministry’s website. -insurance, if proceeds pass through the estate, e.g., no named beneficiary other than ‘Estate’. In addition to the wide-ranging aspect of items subject to “probate,” whereas an approximate value for a given item was previously satisfactory, it must now be precisely valued. A painting considered to be art, for example, must have a realistic value; if the testator hasn’t provided an up-to-date appraisal for the executor, then the executor must obtain one from a recognized authority. Along with the evaluation, the executor must provide descriptions and other relevant information, depending, for example on whether it’s a monetary instrument or a personal possession. The law stipulates exactly what information is required but it is the responsibility of the executor to accurately complete and then submit the EIR. A breakdown of the required information is found in Ontario Regulation 310/14. 4. (1) If the estate representative becomes aware that any information… given in the return is incorrect or incomplete, the estate representative shall give the Minister a revised return containing updated information, including the reason for updating the information. (2) The revised return under subsection (1) must be given no later than 30 days after the estate representative becomes aware that the information given is incorrect or incomplete. That should provide the executor with some peace of mind! The complexity, time and energy, and potential of running afoul of the government has likely turned what once was regarded as an honour into an onerous task. However, executors are required, by law, to be paid through fees taken from the estate. The exact amount depends on a number of factors including the size and complexity of the estate and the expertise of the executor; the allowed fees are 2.5% of what is collected and 2.5% of what is disbursed. 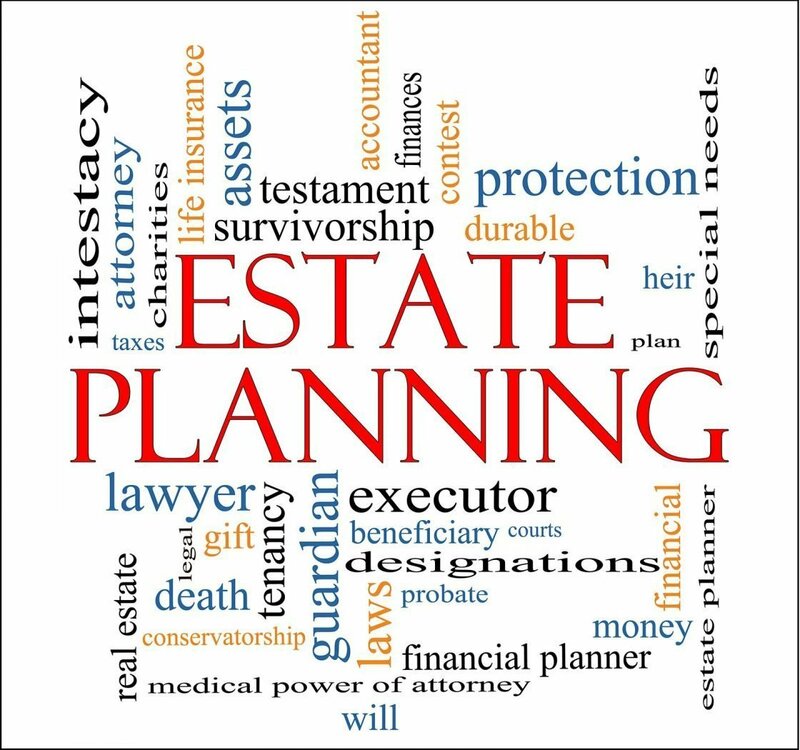 All things being equal, an estate valued at $1,000,000 could provide an executor fee of approximately $50,000.00. The new legislation with its stringent impositions on the estate executor will likely further encourage testators to protect what they can from ‘probate,’ and to simplify to whatever extent is possible, the duties of the executor. Please see previous blogs on this website which discuss such means as dual wills, use of joint ownership as with bank accounts, and the deed of gift. Additionally, there are alter ego trusts, which might be reviewed in a future blog, and which have some excellent advantages for reducing probate fees, but as with anything else, have downsides as well. While legal consultation is not required for wills or estates, the Ontario government has clearly added to the complexity and legal obligations for all concerned. Accordingly, testators and executives might be better served by seeking legal expertise. To help you decide what’s right for you, please contact Howard Nightingale Professional Corporation for our complementary half-hour consultation. Conveniently located in the Toronto area, we can be reached 416 633 4423 (toll free 1 -877-224-8225), or begin with a visit to our website, www.howardnightingale.com.